2019 Preview: There will be a lot of changes for Martin Truex Jr. in 2019 but his team is used to fighting adversity. Furniture Row Racing closed their doors at the end of the 2018 season. Truex and his crew chief, Cole Pearn moved over to Joe Gibbs Racing to take over the No. 19 car. The team also took Bass Pro Shops with them to JGR. 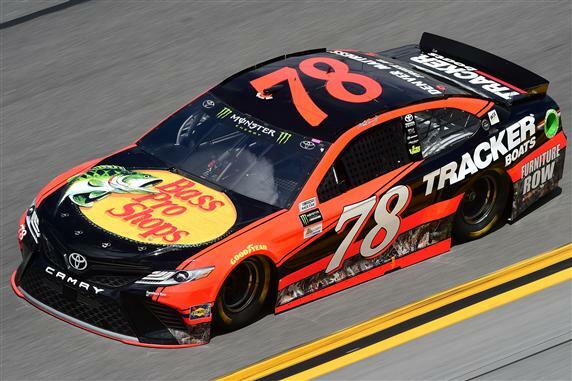 Bass Pro Shops will be the primary sponsor (24 races) for Truex in 2019. I am not concerned about the team change for Truex. He worked closely with JGR in the past and he still has his crew chief with him. I expect Truex to work well with his new teammates until the playoffs start. It will be interesting to see how well Truex and Kyle Busch play together once they start fighting for the championship. Both drivers have a strong will to win. I have a hard time seeing them working together as we get to the end of the 2019 season. Both drivers should make it to the final four, but this whole thing could blow up if Busch’s ego gets in the way.